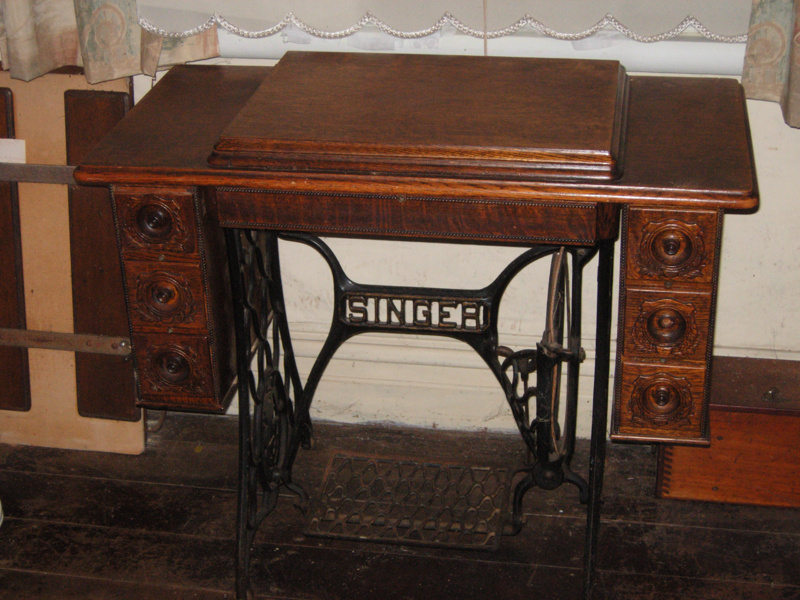 A beautiful example of an early Singer treadle (sewing) machine. 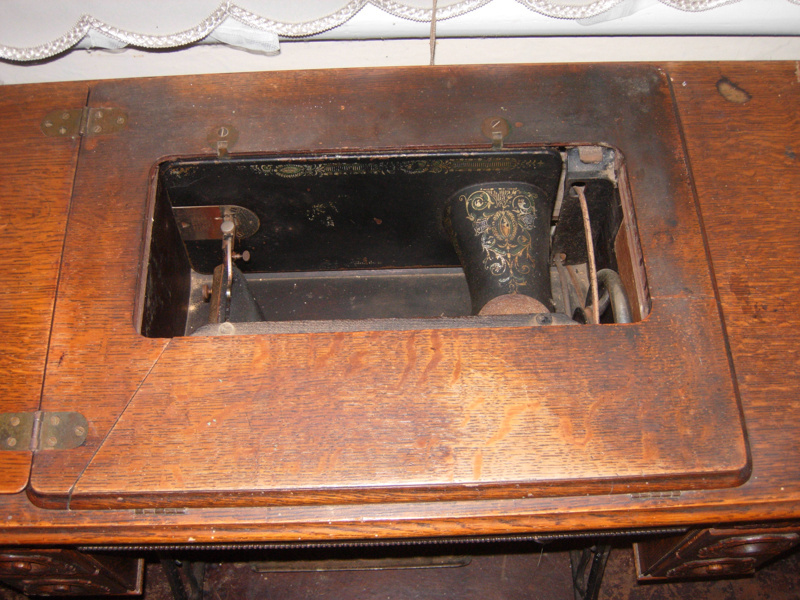 A hinged wooden flap covers machine and opens out to provide a layout surface for working. 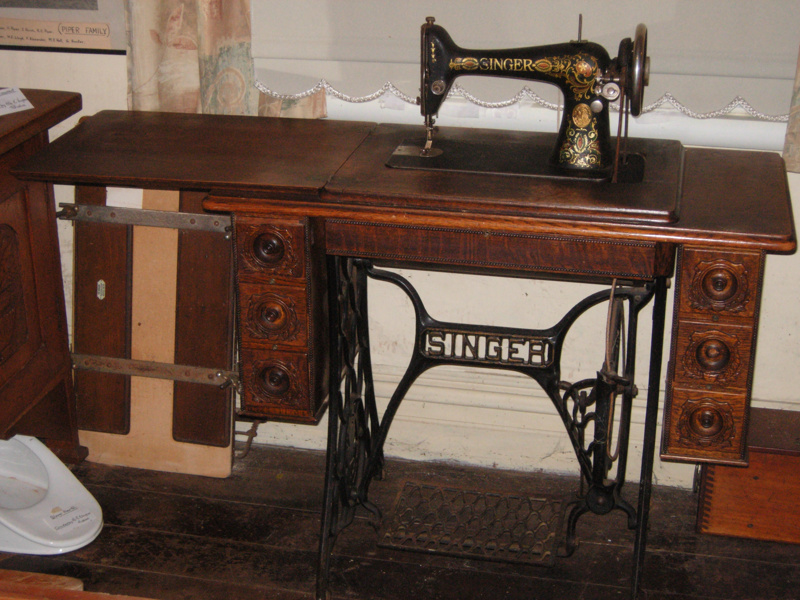 Another hinged wooden piece folds back to allow the sewing machine to fold upright. 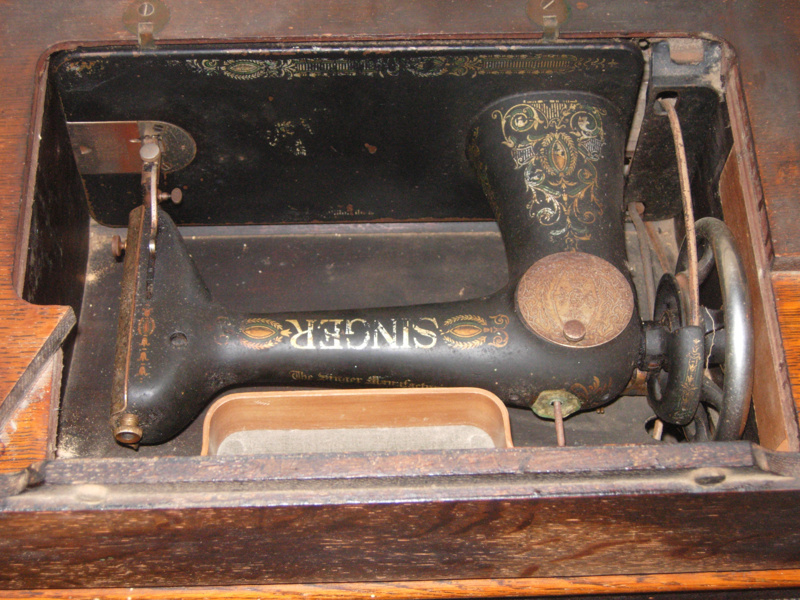 The sewing machine rests on the flap. 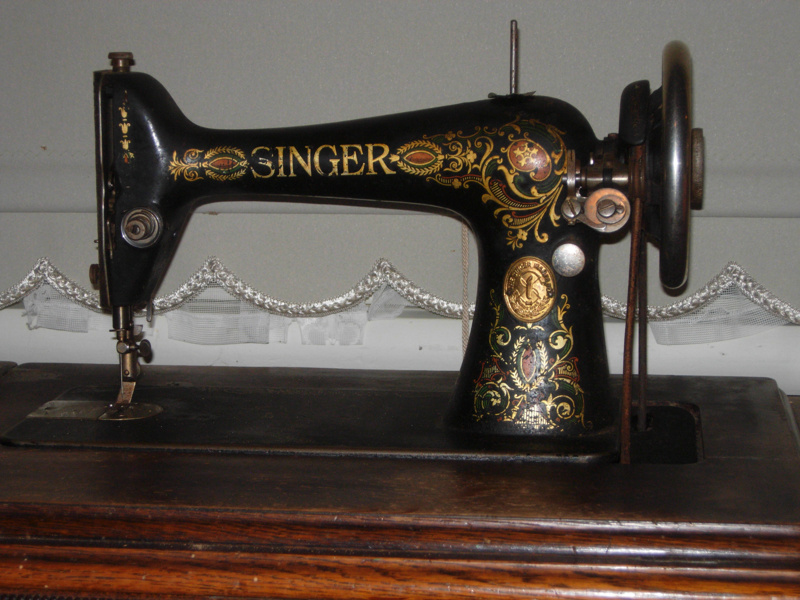 The machine is painted in a floral pattern. 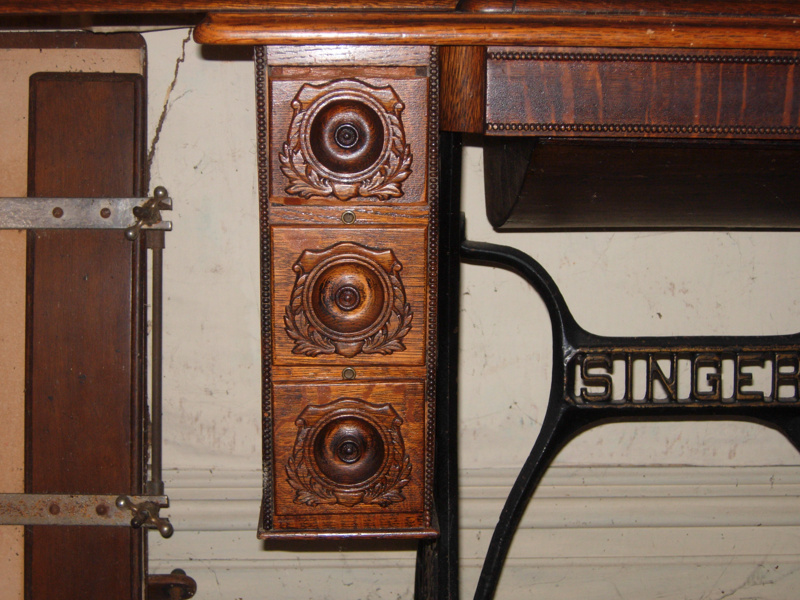 There are 3 apothecary drawers each side (6 drawers in total). 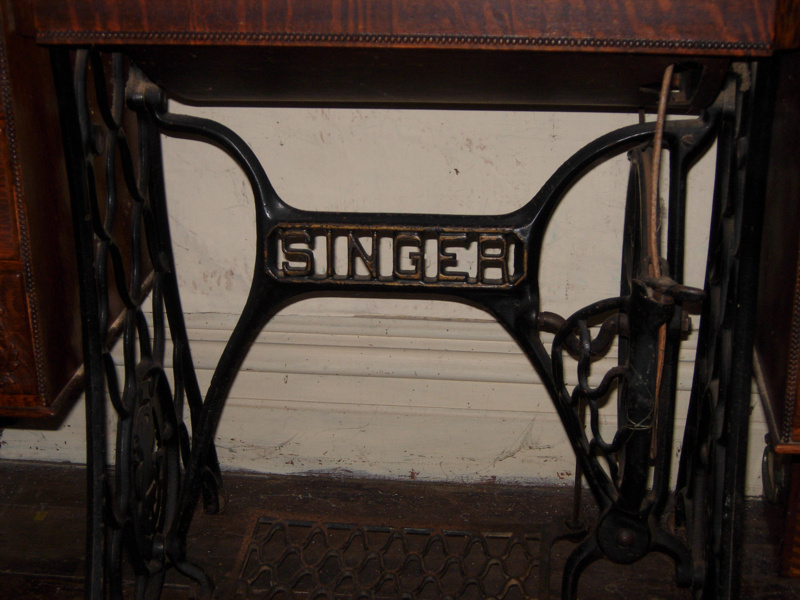 A wrought iron base has the "Singer" name incorporated.